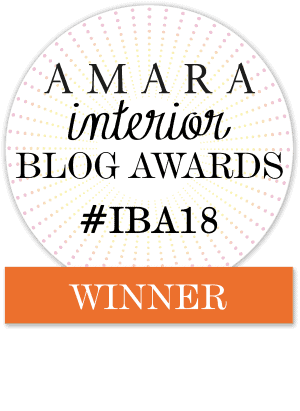 Hey there, Up To Date Interiors readers! 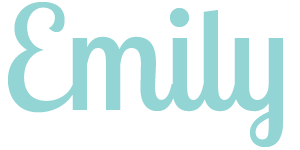 I’m Emily from The Small Stuff Counts and I’m excited that Kathy invited me over to chat with you today! If you visit my blog, it won’t take you long to figure out that I am obsessed with both decorating and organizing. I’m always striving to find ways to squeeze a little more time out of my day for the things I enjoy, including all of those house projects on my list! I love working on projects around my home, but it’s not always easy to find the time. Do you struggle with having oodles of project ideas, but little time to implement them? With all of the other things we have to get done in a day, it can feel like there’s no time to even think about decorating. I think it’s worth making the time to create a comfortable, beautiful home that you and your family love. We spend so much time in our homes that they deserve to have some attention devoted to them. But how do you even begin to find the time tackle that long list of decorating projects? No matter how busy you are, it is possible to find time to decorate. I have four simple strategies for you today that will help! 1 | Focus on the projects with the most impact. When you’re short on time, it’s super important to stay focused! If you’re anything like me, you have so many project ideas floating around in your head that it’s tough to focus on just one at a time. But rather than jumping around between several different projects all at once, make a conscious effort to work on just one until it’s done. Then you can move onto the next. So how do you decide which project to focus on first? Choose the ones with the biggest impact! This could mean focusing on decorating the room you spend the most time or tackling the DIY that will make the largest improvement on how your home functions every day. Whatever project you choose, commit to working on one at a time. This will help you make high impact improvements that actually get done, as opposed to bouncing around between many smaller projects that seemingly never end because you’re dabbling rather than focusing. 2 | Move past inspiration and take action. People often tell me they spend all of their time looking for inspiration, but then never get around to actually doing the work. This is an easy trap to fall into, especially when you start scrolling through Pinterest! I love the ability to search Pinterest and my favorite blogs for decorating ideas, but I do think it’s important to limit that time. Instead of pinning pretty pictures for three hours after dinner one night, you could have gotten three hours of painting done! Don’t get me wrong, I’m all for using Pinterest as an inspiration tool. Finding inspiration is great for coming up with ideas and choosing a direction to go with your room makeover or DIY project, but be careful to not get stuck in the inspiration phase of a project forever. Commit to limiting the time you spend gathering inspiration, and then narrow things down and get started on your project! If you struggle to sort through all of the inspiration and create an actual plan for your decorating projects, you can read all about my tips for planning a room makeover using Pinterest here. 3 | Create a detailed task list. I swear by making lists! When you are short on time, you need to be ready to hit the ground running when you get the chance. So when you’re starting a new decorating project, take a few minutes to create a detailed task list. Try to break down the project into short tasks, each one hour or less, so that you can realistically check off a thing or two whenever you find time to squeeze in a bit of decorating. 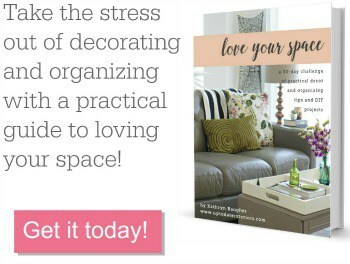 So instead of making one task that’s “paint the room,” break it down further into tasks like selecting paint colors, buying paint, painting the walls, painting the ceiling, painting the trim, touch-ups, etc. By breaking down a project into small tasks like that, it will seem more manageable. So rather than waiting to get started until a day when you have time to paint the entire room top to bottom (let’s face it, those days are few and far between! ), it will seem more doable to buy the paint after work one night and then get a coat of paint on the ceiling the next night after the kids are in bed. 4 | Plan regular work time into your week. While it would be amazing to have a full weekend to work on your decorating projects, that’s probably unlikely. We all lead busy lives so it’s important to make the most of the little chunks of time we do have available. I’m a huge proponent of creating a weekly routine and recommend mapping out what an ideal week looks like for you. Block out time on a weekly calendar for sleep, work, household chores, kid activities and all of your responsibilities. I go as far as setting aside time for things like grocery shopping, budgeting, cleaning and other tasks that people often overlook including in their schedule because those kinds of tasks don’t have a set time. Once you set aside time for all of your must-dos in a week, then you’ll have a clear picture of where you have extra time. This time can be used for whatever you wish, whether that’s free time to relax, time to focus on a big goal of yours or time to decorate. 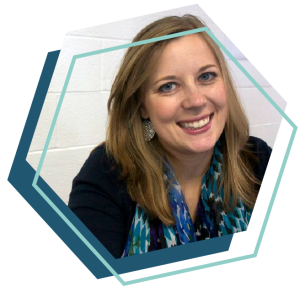 Don’t dismiss those small chunks of time in your day, like that hour in the morning before work or the evenings after your kids are tucked in bed. Spending some time up front to plan your ideal weekly routine will make things run so much more smoothly over the long run. It may not sound like much fun to have every minute of your week planned out, but I believe that there is freedom within structure. The more you design your schedule, the more intentional you will be with your time. And that will help you find more time to decorate! I could geek out about time management all day long, so I created a free e-course to help you through the process of creating your own weekly routine. You can sign up for free here if you are interested. 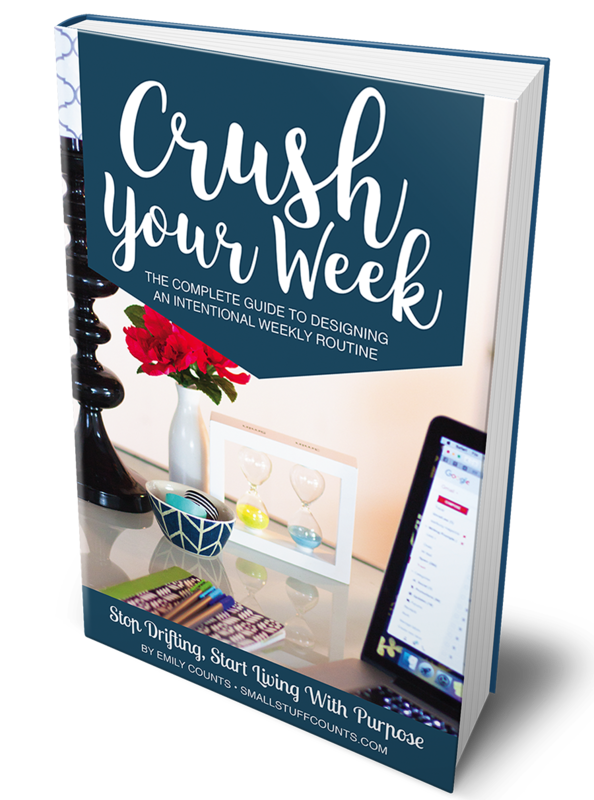 I also just published an entire ebook on the subject, Crush Your Week: The Complete Guide To Designing An Intentional Weekly Routine, and would love for you to check it out! How do you squeeze in time to decorate? Let us know in the comments! Thank you to Kathy for having me over today, and thank YOU for reading! Good luck with all of your decorating projects!